Jonathan Day is a partner in Carpmaels & Ransford LLP’s trademark and litigation groups. Dual-qualified as a solicitor and trademark attorney, he is both knowledgeable and experienced in most aspects of IP law. His background is in brand protection enforcement and management and IP and commercial advisory work. This includes advising on complex trademark opposition cases and EU-wide brand clearance for pharmaceutical companies, anti-counterfeiting and enforcement strategies, advertising standards issues, brand coexistence, splitting and de-merging, comparative advertising, the IP aspects of major acquisitions and disposals and domain name recovery and disputes. He advises clients in the pharmaceutical, energy, financial services, brewing and fashion sectors. 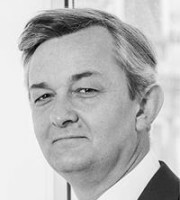 Mr Day’s recent work includes advising one of the world’s leading entertainment companies in relation to dispute management and business ventures, and the strategic management of a global pharmaceutical company’s European brand portfolio, encompassing eye care, obesity, neuroscience and aesthetic medicines.